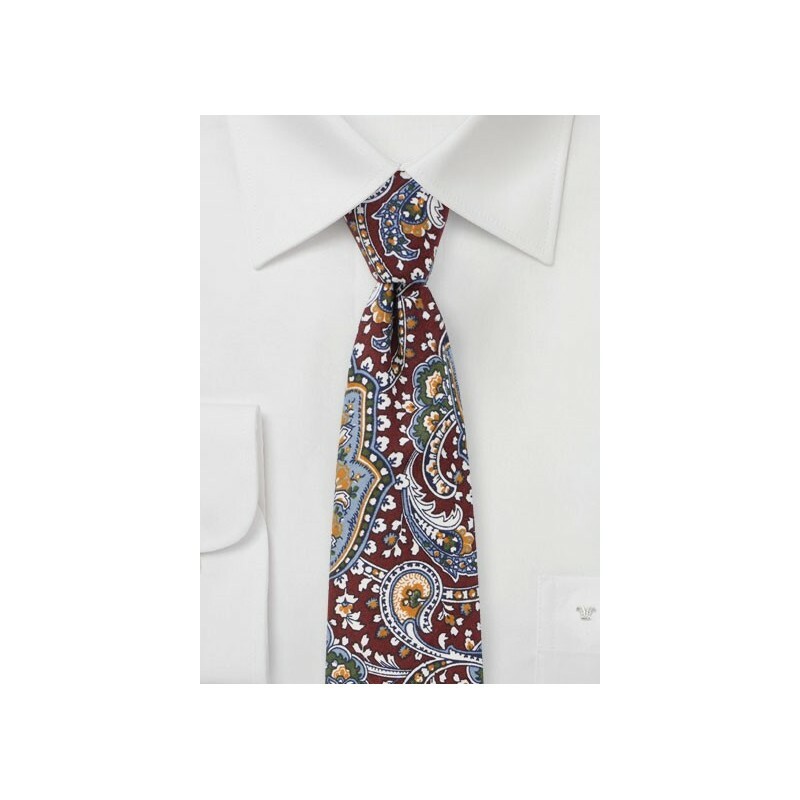 This fun paisley tie will instantly stand out from all other neckties in the room. The vibrant large scale paisley design paired with muted browns, tan, gold, blue, and white are accompanied by a modern 2.75 inch width cut. 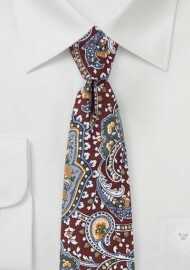 A fantastic tie for slim fit suits in navy or olive.